Kapuso heartthrob, model-actress and host Solenn Heussaff who got engage to non-showbiz boyfrined last year revealed through a Kapuso Show that she did cried for Forty minutes straight after her Boyfie, Nico Bolzico proposed. According to the actress, it was unexpected and was really a surprise on her part. Heussaff also said that her wedding will be private away from the noise of the city and media's. 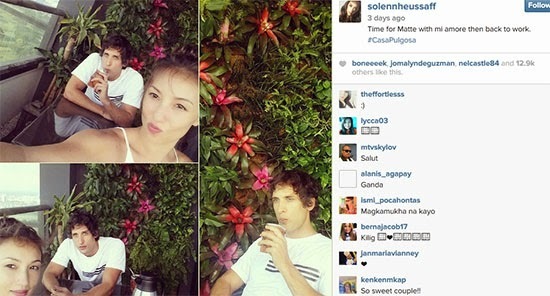 Comments or suggestions about "After Nico Bolzico proposed, Solenn Heussaff cried for 40 minutes straight" is important to us, you may share it by using the comment box below.